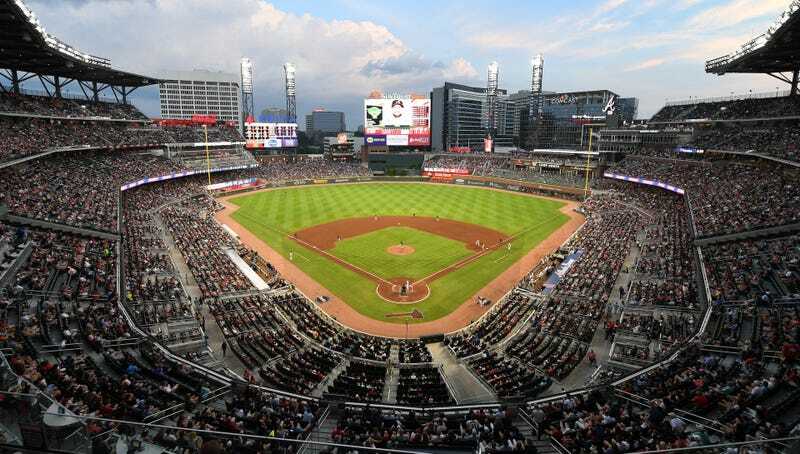 Todd Keeling, a 48-year-old from Minnesota, was found dead inside of a walk-in beer cooler at the Atlanta Braves’ ballpark Tuesday afternoon. The Braves played their game against the Reds as scheduled last night after Keeling’s body was found, and police are still investigating whether or not there was foul play involved. Keeling was an inventor who was in Atlanta to install new beer taps around the ballpark. His company, Draftwell, produces beer taps that allow stadiums to pour beers three times faster than conventional taps, and Keeling had already installed Draftwell systems at the Twins’ and White Sox’ ballparks. He applied for a patent four years ago on the technology, which purportedly reduces foam and allows concession workers to pour a full beer in five seconds. Keeling’s family said police told them Keeling was somehow trapped in the cooler and couldn’t get out. His two teenage sons went to Atlanta with him, but left town days ago while Keeling stayed behind to finish up installation. A precise cause of death has not been announced.